It took a long time for the business community to come to terms with energy efficiency. 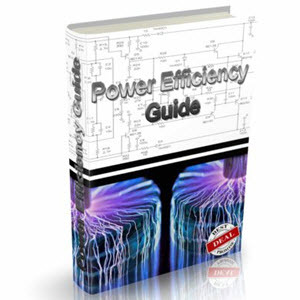 John B. Robinson argues that the relative novelty of the energy efficiency field together with its technical nature and the invisibility of energy caused a lack of good information on EETs, their potentials and costs.7 There are also other issues pertaining to the attitudes. They include the lack of recognition of non-market needs of consumers, and the focus of the private sector on environmental remediation rather than pollution prevention. Leaving aside that business goals and the measurement of their successes are complex and a matter of debate, it can be safely assumed that business establishments are profit-seeking organizations. Therefore, unless industrial firms consider resource depletion and environmental degradation, in terms of economic and management concepts, such as customer demand for green products, they are not likely to integrate environmental aspects into their decision making process. However, EE is just one of the many names given to the concept of developing the economy while protecting the environment. Industrial ecology refers to the study of using resources efficiently as part of good business practices. Energy efficiency and pollution prevention involve the efficient use of resources, which is key to industrial development. Industries not only prevent pollution but can also enhance profits by reducing energy and material use. They save the direct costs of these resources, as well as reduce disposal costs, avoid fines, and minimize bad publicity. In addition, resource efficiency often enhances productivity, streamlines production and improves workplace conditions. Many business establishments are introducing competition into their industries to make them more efficient. The advantages of competitive markets are well known: lower costs and prices, more product choices, better customer service and less intrusive regulation by government agencies. Efficient technological innovation allows competition in the industry. 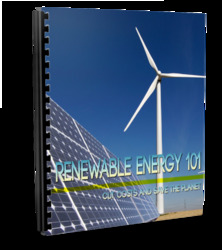 Using energy more efficiently reduces the cost of producing goods and services. Depending on the type of market, this resource-cost reduction can translate into lower production costs, higher output and more profits. If maximizing profit is assumed to be the main objective of companies, there is a compelling motive to save energy. Companies can produce and acquire new goods and services, which are less energy consuming and in these ways lower expenses. Investments into EE can greatly reduce, defer, simplify and cheapen investments while improving their technical performance. 9 Humphrey et al. (2002) give an overview of the history and current trends of the environmental movement. 11 Schmidheiny and Zorraquin 1996, 78.
air system at its automotive glass plant in Nashville (USA) in 2000 by replacing existing units by smaller and more energy efficient units. The total cost of project implementation was USD 724,000. The benefits were a total annual savings of USD 711,000, which lead to a simple payback of about one year, reduced annual energy consumption by 7.9 million kWh, reduced maintenance costs, improved system performance and avoided asbestos abatement costs to the tune of USD 800,00013 (Box 5.2). • Improve environmental reputation and image. Source: Based on Business Roundtable 2007 and Pye 1998. • Achieve eco-efficient production with economic and environmental benefits. The most attractive feature of the CDM from the view of the private sector is that it will be project-based. Projects will most likely be of three types of which the mitigation of emissions through application of EETs is an important one. Thus, all CDM projects would have double dividends in the form of additional GHG reductions as well as energy efficiency and pollution prevention. Successful private sector involvement in the CDM will, however, require a number of conditions to be met for reducing inherent risks. These include assured credits, minimum overheads, flexibility, transparency and simplicity, an appeal mechanism and stability. Ultimately, it is the profit motive that will drive private participation in the CDM, and in other international initiatives supported by multilateral negotiated agreements. From an environmental perspective, therefore, the increasing EE is extremely important. 16 Lovins et al. 2000, 251. • Adopt a solutions-based business model. Internal problem solving: The impacts on environment were seen as outside the corporation. Regular departmental units were used to address these issues. Compliance with government regulations: Corporations became defensive as the number of regulations increased. Separate environmental departments were established by corporations. Impact reduction and protection of reputation: Corporations were dedicated actively. Recycling and waste reduction: Corporations were engaged proactively in programmes. The environmental departments became more influential. Integration of business goals and environmental goals: The environment is seen as a strategic issue and incorporated. 17 Lovins et al. 2000. 21 Adapted from Dorf 2001, with permission from Elsevier Science. T. C. Russell, industrial programme manager for theAlliance to Save Energy, underlines the importance of communication and presentation to convince decision makers. There is a need to persuade them with hard facts and numbers that energy efficiency can save money, contribute to corporate goals and reduce energy use.22 In his article Justifying Energy Efficiency Projects to Management, Russell suggests how to interpret, as for instance, the benefits of fuel cost savings. 'Implementing energy efficiency lets the corporation enjoy two benefits: decreased fuel expenditures per unit of production and fewer emission-related penalties. '23 The savings resulting from decreased expenditures for fuel are equivalent to a new source of capital. For publicly held corporations energy efficiency is a good way to add shareholder value.24 There are a large number of avenues to adopt energy efficiency measures, both from supply-side as well as demand-side. For example, a study conducted with reference to India reveals such avenues as shown in Tables 5.3, 5.4 and 5.5. Annual energy cost saving Rs 8.59 billion; energy saving 3.18 TWh. Source: Reddy and Balachandra 2003. 25 Per year for 210 MW for India. 1.40 kWh/unit per year saved. No additional cost. 220 kg/C02 per unit per year. Rs 48$ per stove per year. 3,580 kg of C02 per year compared to traditional wood stove. Rs 1900 per stove per year. 3,350 kg of C02 per year per stove compared to wood stove. 860 kg of C02 compared to wood stove.